You can’t get more GRASS-ROOTS than this! City Soil is a locally rooted, small, socially responsible, democratically run GREEN operation that is UNDER ATTACK by a BIG CORP which focuses on creating RED DYED mulch. The commercial supplier with government connections wants the land that City Soil has been operating on for years! Please take a few minutes to support our friends over at City Soil. See the link or the summary below about City Soil’s mission. Please let @citysoilma stay on their @MassDCR land in #Mattapan! @MassEEA – Respectfully requesting that you meet ASAP with @CitySoilMA to discuss @MassDCR eviction! 3. Start thinking about other people/groups that we can bring into the coalition. 4. Forward this to 20 people, and call and/or text them during the day to see if they’ll take action! City Soil develops projects ranging from centralized in-vessel commercial composting and anaerobic digestion facilities to decentralized compost operations serving community gardens, farms, schools and and residential backyards. Our team’s breadth of experience and expertise puts us in a unique position as we move into a new era of sustainable agriculture and organic waste recycling. 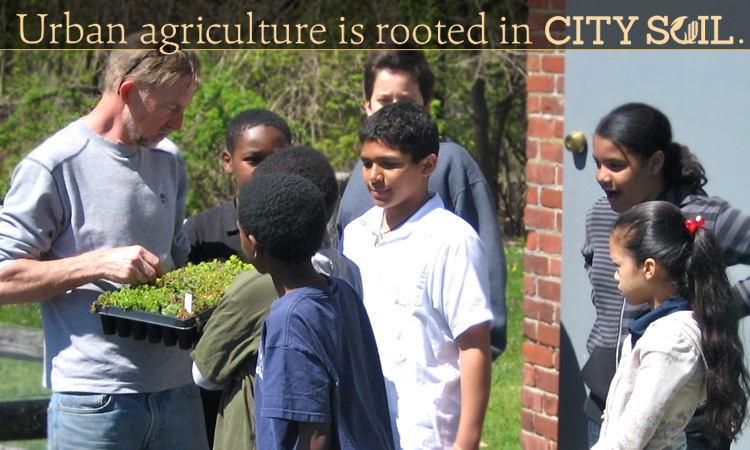 City Soil has pioneered the design and construction of educational outdoor classrooms, greenhouses, living roofs and growing systems with many leading nonprofits and environmental organizations. We provide soil, compost, mulch and our specialized ‘grow-how’ to community gardens, landscapers, agricultural startups, and homeowners. This story starts out on point, but rapidly goes downhill. By the end, reporter Jim Armstrong is flat out lying. Jim Armstrong: putting the BS in CBS. On December 10, 2011 at 5 am #OccupyBoston’s Dewey Square encampment was raided by the Boston Police Department and other officials. Thirty-five peaceful protesters were arrested on the Rose F. Kennedy Greenway just two days after Mayor Thomas Menino issued a notice of eviction. Eight others were arrested in the streets and sidewalks surrounding Dewey Square and three were detained in South Station. Throughout the two-hour period during which the arrests occurred, #OccupyBoston members remained resolute and nonviolent in the face of a disproportionately large police presence. At least 100 officers were counted inside Dewey Square at 5:30 am, while some estimates place the count at greater than 200. Credentialed press, citizen journalists, academic researchers, and #OccupyBoston media members were repeatedly corralled and moved to surrounding areas 50 feet away or more, prohibiting many from thoroughly covering the raid. From pointing lights in photographers’ lenses to targeting the two official #OccupyBoston USTREAM live videographers for removal, officials went to great lengths to block media access. You cannot evict an idea whose time has come. Boston’s Occupiers will persist in rejecting a world created by and for the 1%. We might have been evicted, but we shall not be moved. We remain invested in the future of our movement. We will continue to challenge Wall Street’s occupation of our government. We encourage everyone to join in the national conversation that has sustained #OccupyBoston for the past seventy-one days. #OccupyBoston will hold a General Assembly tonight at 7 pm at the bandstand on the Boston Common. We are the 99%, and we are no longer silent. #OccupyBoston is the beginning of an ongoing conversation about fixing our world: reforming Wall Street, removing special interests from government, preserving our civil liberties, and much more. #OccupyBoston is just one of more than 1000 separate Occupy movements in cities across the world and a symbol for “Occupiers” everywhere who support real and lasting change. We have occupied Dewey Square because Wall Street has occupied our government, broken our economic system, divided our country, and negatively impacted our lives for far too long. Occupation is a single tactic, but its significance is much greater than that. By creating this public space dedicated to political discourse, we have created a social destination where anyone can become an activist. What starts as a visit to satisfy curiosity can end by participating in the decision making process of an entire community. What starts as the desire to hear a public speaker can end in the commitment to meet regularly to advocate around critical issues. This is what has grown the Occupy Movement across the country and here in Massachusetts. Not only does this act of protesting in a physical space 24 hours a day deepen our engagement with Occupy Boston and the Occupy Movement; it also connects us with the ecosystem of community organizations whose activities predate our own. As individuals whose lives have been effected by economic injustice, we begin to see ourselves as part of a much bigger picture. Our stories gain new life as we connect them with the stories of others. In that sense, Dewey Square has become a point of outreach for a much larger movement. What starts as a passing interest can become a lifelong commitment to social and economic justice. We have occupied Dewey Square because we have joined a movement to change the world. You can’t evict an idea. Boston, MA [11/30/11] The Occupy Boston Movement is holding a city wide day of action this Saturday December 3, 2011. The day will begin at 10 am with neighborhood specific actions to engage the diverse populations of our city. These actions include, but are not limited to, a demonstration against the practices of the Immigration Customs and Enforcement (ICE) Department at the JFK Federal Building on New Sudbury Street, a speak out on Climate Justice outside of the Park Street train station, and the dissemination of literature on the shortcomings of our health care system at Coolidge Corner in Brookline. Following the actions, participants will converge at Copley Square at 1:00pm for a general “speak out” featuring the voices of the 99%. The purpose of the day is to offer opportunities for meaningful actions to address economic injustice and to bring the community together to celebrate our strength and unity. You are the 99%. Join us.